Today was our first born first day in school and as parents, mas excited pa kami kesa sa anak ko. Hehe. It was pretty big deal so I decided to take a leave from work and celebrate the day with our daughter. 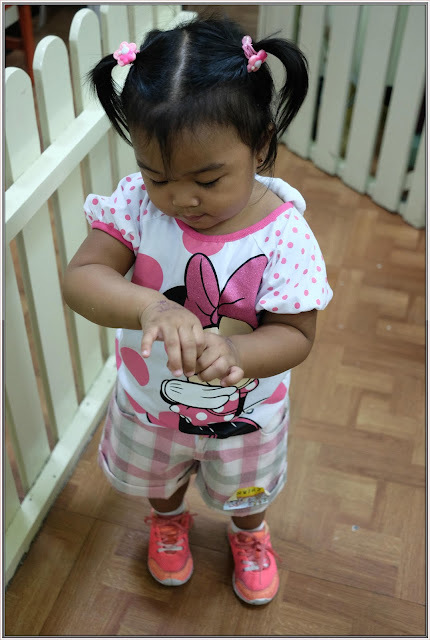 This major milestone comes with conflicting emotions - happy, excited, proud, and sensitive because in the blink of my eyes, she’s a big girl na. 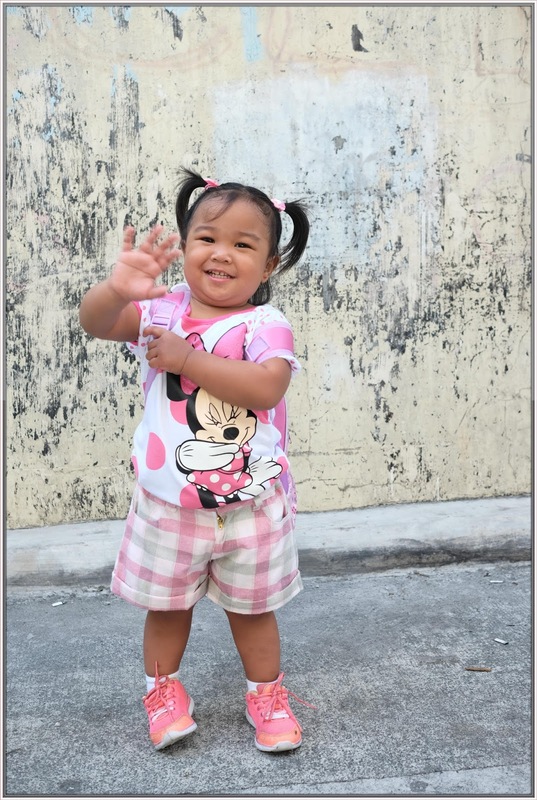 I remember the day I held her in my arms, she’s so tiny and but now look at her, may little dalaga na ko. Don’t get me wrong, I’m so excited about all the fun that Rhian will have and the new friends she’ll make. I feel a little bit sad because our baby is venturing out into the big world and will filled with new adventure, I know these emotions are normal right mommies? Anyway, sending our daughter in school is one of our goals in 2016. I searched for the best school (of course budget friendly is one of the criteria) that will suit for Rhian. Nagulat ako upon canvassing ng mga school, Dyos ko Lord! ganon na pala kamahal magpa aral ng bata. To give you an idea on what I am talking about, yung isang school na pinagtanungan ko, they will charge us Php 74k for the whole school year while the other one will charge us Php 82k-150k. O db, toddler palang yan ha, what more kung nasa Elementary, HS or even College na sila. My God! 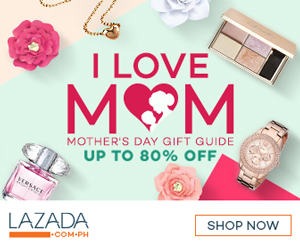 Thankful lang ako kasi we had the right decision to get our daughters a “Savings Wealth Plan” at Pru-Life, at least when they reach College Life, hindi na kami masyadong mahihirapan magpaaral. 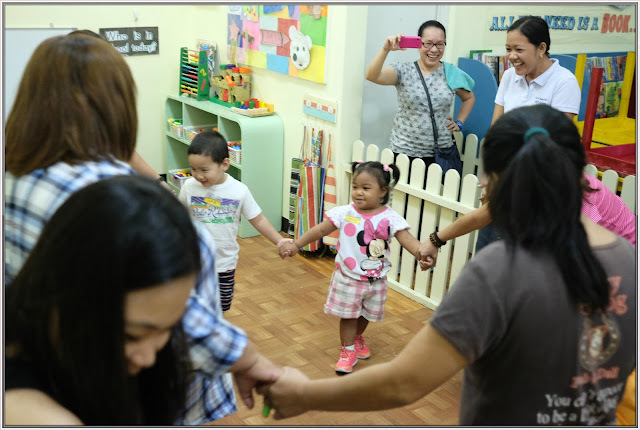 Until I stumbled the Kids PlayLab near our church, my husband and I visited the place and check out the facilities they offer. 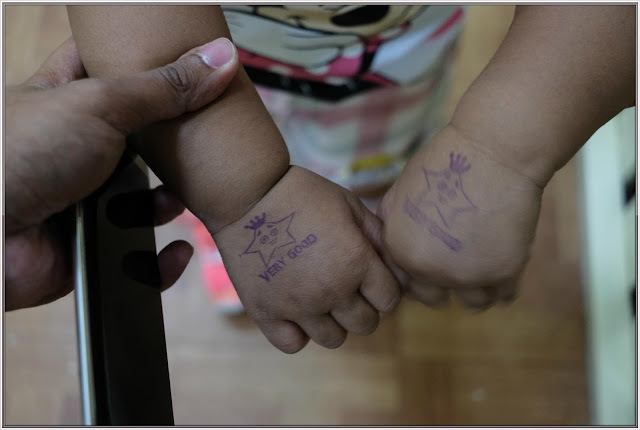 The school is clean and well-maintained, air-conditioned room with lots of toys and activity materials, the place has a small indoor play area and the parking area would not be a problem. The teachers are very accommodating and with please personality (I believe that is one of the requirements for being a teacher of toddlers/preschoolers). I love the way they teach the kids, ang haba haba ng pacensya nila. 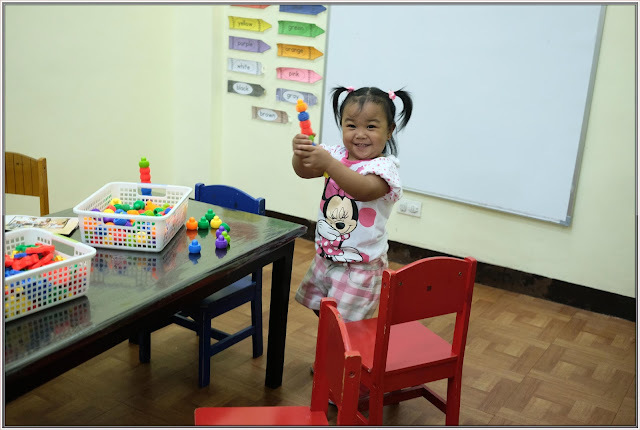 Teacher Jarese says that Kids PlayLab is where learning happens through play, meaning no pressure for the kids kasi parang naglalaro lang sila at the same time natututo. 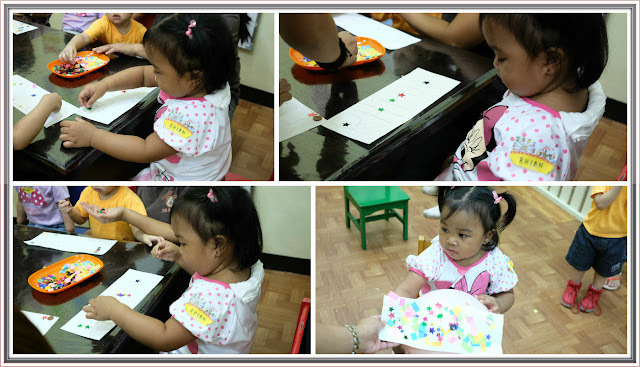 Even before we registered Rhian, she already knew the alphabet, colors, numbers and shapes. 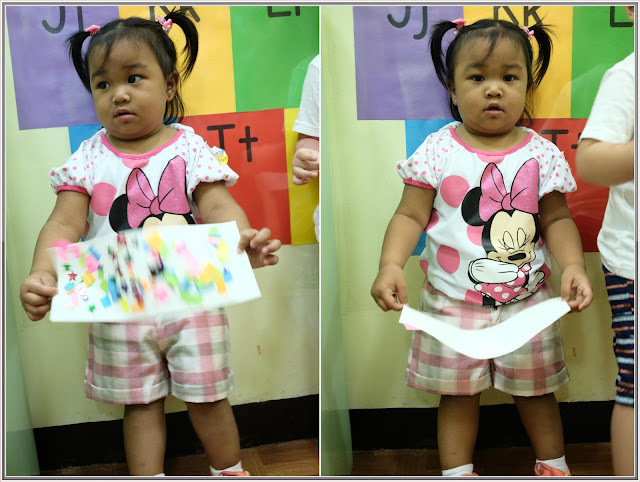 Not only that, she can sing the toddler songs like Bahay Kubo, Nanay Tatay, Bubuka ang Bulaklak, The Wheels on the Bus, Twinkle Twinkle and Ang Jeep ni Mang Juan. Rhian is a certified homeschooler at the age of 1 year old and I’m so proud of her. We enrolled Rhian for their Summer Play Fun or what they called “Scribbles and Wiggles" which starts from May 10 until the 23rd of May. This summer class is for kids ages 2-4 years old, from 9am-10 Monday to Friday for 10 days which encourage young children to enjoy music and movement by letting them experiences the fun in doing art activities, singing and dancing. We arrived at the school 10 minutes before 9am, so we have more time to explain to Rhian what will happen on that day. At first, medyo shy type pa si Rhian syempre pinapakiramdaman muna nya yung new environment nya. I'll let the pictures speak for themselves. I’m so proud of this young lady, I’m so proud of the little girl who is fearless to start on this new journey. I’ll admit that I was scared at first but when I saw Rhian’s smile, all of those fears went away. As I watched her grow and mature, little by little those fears diminish. I know that my daughter will shine, she’s so beautiful, bright girl who can light up a room with her smile and who is genuinely happy and delighted with life most of the time. Now, looking forward for her next adventure, maybe next year ulit.